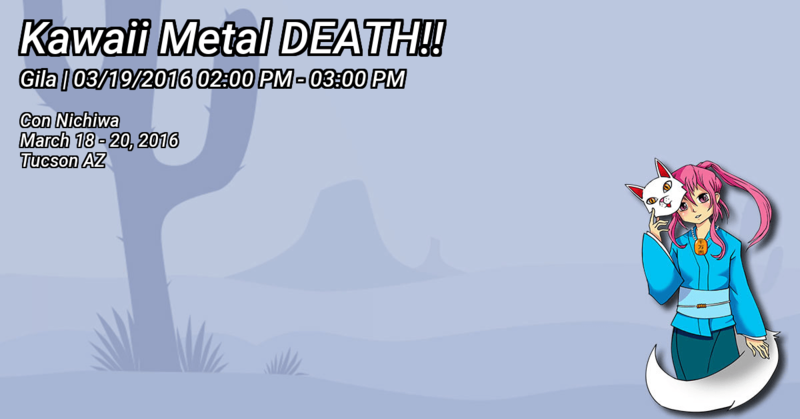 Get Your Con On: Kawaii Metal DEATH!! Friend of the site and owner of a tremendous Babymetal hat, @DaeMetal, is hosting a panel at Con Nichiwa next weekend in Tucson! Fusing heavy metal and j-pop, idol unit BABYMETAL have spawned a new music genre and a rapidly expanding international audience. On the eve of their inevitable (and adorable) world conquest, come discover the artists, influences and events behind the birth of this uniquely Japanese style of music, and the other dangerously kawaii bands that make up the genre. Seriously, if you do an event like this, or if you’d like to do an event like this, let me know; I’ll gladly put it on blast. This site is about exposing people to music, period. @DaeMetal, I hope you pack the hall!